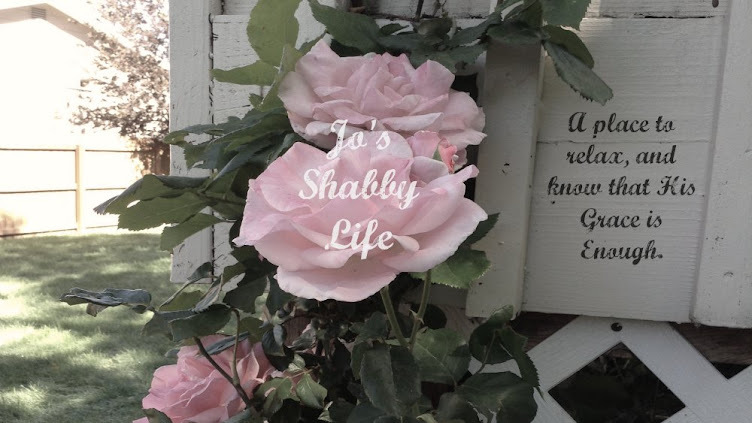 Jo's Shabby Life: Funny Story ~ The "Bird Bench"
Funny Story ~ The "Bird Bench"
Funny story...I wonder if any of my readers have ever experienced something similar? It was so wobbly I wouldn't sit on it. I took it apart and re-glued the legs and just tightened it up and then went on to refinish it like this. Brought her to my booth and it sold, rather quickly if I remember right, for $28.00. This past summer, while out treasure hunting guess what I found! This little bird bench! They were only asking $3.00 for it! LOL! They told me where they bought it - at American Classics Marketplace. I confessed to them that they actually bought it from me and gave her $5 and brought my little bird bench back home. I cleaned her up, tightened her up again, and yup, put her back for sale in my booth for $30.00 (inflation you know!) Once again she sold rather quickly! I wonder if our journey is over or if I'll see her again somewhere? Again, while out treasure hunting, I happened upon it at another antique mall here in town, marked up just a little more than I had it. I did not buy it back! Just thought it was funny and I was honored that another vendor liked my stuff enough to do that. 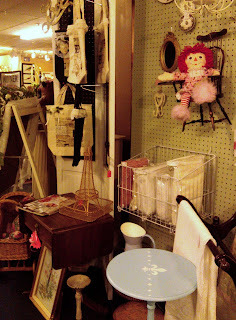 Also learned to price my wares accordingly...I was still fairly new to this business! Have you ever had this happen to you? Please share your story in the comments or feel free to link your story so I can read about it. 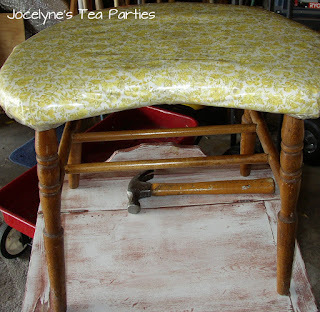 I'm sharing this post at Share Your Cup with Jann Olson. That is too funny to see your sweet bench again for sale. I might have been a little hurt that they only put $3 on it but then you could buy it back, which I would do too! I was recently in a garage sale at our local Public Market and before we could even unload it a guy came along and wanted the drum set we had. He could only see one piece of it but handed over the money. A little while later, we see it sitting in his booth for sale! I thought that was so wrong. About mid-day I saw him walking around and asked him if he sold the drum set yet (knowing he hadn't!). He ended up taking it home!! Better him having to pack it than me! I was a little hurt that she only thought it was worth $3.00, but hey, the deal was mine! I've made money on it twice! Funny about the drums - or rude. Hope you made a few bucks on it though! Thanks for following me! I tried following you, several times, and I kept getting a FORBIDDEN notice. Not sure what that is! Thanks for telling me! I don't know what that's about so I better investigate. Was it Bloglovin or Blogger Followers? Oh! I did get an email that you were following me from Bloglovin though. Thanks! Is't that funny....what goes around comes around I guess...I could never have parted with that sweet little bird stool. for you it was a win, win! Hi Linda! 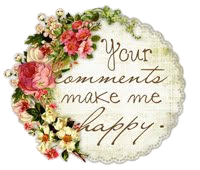 Thanks for visiting AND following my humble little blog. It was a win, win! That has never happened to me, but what a neat experience! The bench and table are beautiful. My favorite is the bench - I can't figure out why someone wouldn't want it any longer but tastes change. I used to do craft sales many years ago. One day at a yard sale my mom (Grandma Betty on Stephanie's blog) and I saw 2 of my items with the price tags still on them. It bothered me a bit but they were probably a gift and it wasn't that person's taste. Later, my mom and I were driving past this residence again and they had a free pile. There they were - in the free pile. OUCH!! That meant that nobody wanted them. So...I took them home and resold them at my craft sale later in the year. Since they still had the tags, I knew they hadn't been used. Wow - win win! You sold them twice! I do craft sales now with two of my daughters. We have two more big shows coming up. I enjoy the people I meet and spending time with my girls without little ones running around. Finding Treasures - In my own stash!